Pneumonia, diarrhea, and sepsis are together responsible for almost one-third of all under-5 deaths. These and other common infectious diseases are the leading causes of death among children under 5. All of these diseases are preventable and treatable—the technology and know-how exists. In high-income countries, rarely do babies die from them. To achieve the UN’s Sustainable Development Goal 3 we must close this gap. GOAL 3: end preventable deaths of newborns and children under 5 years of age, reducing neonatal and child mortality to 12 and 25 per 1000 live births, respectively. Pneumonia, Diarrhea, and Sepsis are spread by hand and air in hospitals, and through water mixed with formula at home. The spread of infections through the air and touch is a major challenge in low-resource hospitals. In many cases, the infection leads to death or disability. Only human milk protects against infectious disease. D-Rev is working with global partners to develop a suite of user-centric products to support mothers with lactation, and support health professionals to strengthen human milk banking and Lactation Management Centres. D-Rev’s focus is referral hospitals in low-income regions, starting with India and Sub-Saharan Africa. Our fieldwork indicates that 30-50% of babies in neonatal intensive care units (NICUs) require nutritional support, ideally human milk. The reasons why mothers are unable to breastfeed range. Among those we’ve heard: physical separation from their baby, challenges nursing, and/or maternal death in childbirth. 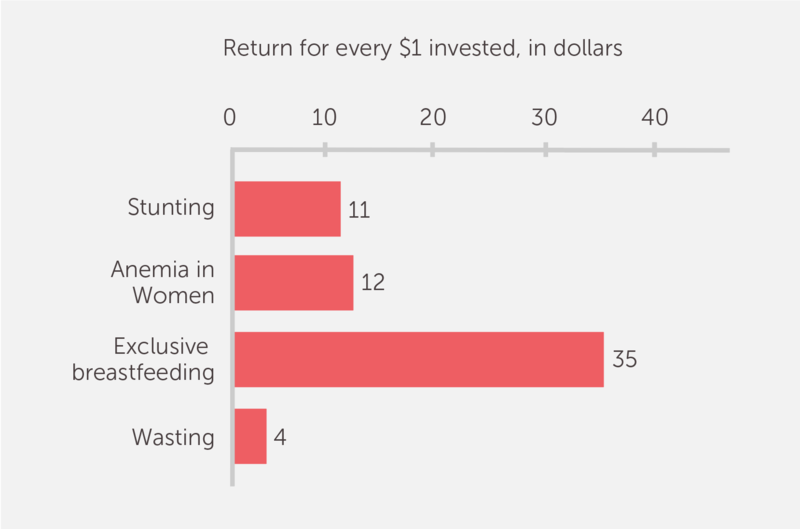 The dramatic benefits of investing in nutrition. If this is an area you are working in or have an interest in newborn nutrition, please contact us at nutrition@d-rev.org. We are interested in hearing from you. Click here to support our work.